The original Game Boy made its worldwide debut during August of 1989. Even at the time of its release, it was horrendously underpowered, seeing many technologically superior devices being released during its lifespan. 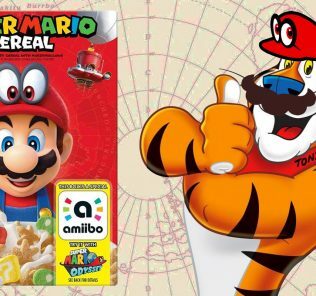 Yet, despite all the odds stacked against it, the system endured an impressive 12 years and had gone through four console generations before Nintendo decided to announce its true successor. The Game Boy Advance was released ten years ago in Japan, on March 21st 2001, and it came out three months later in the west. As far as launches go, the line up for the system was rather impressive and featured stand out Nintendo titles like Super Mario Advance and F-Zero, as well as an amazing line up of third party titles such as Rayman Advance, Castlevania: Circle of the Moon, ChuChu Rocket! and Tony Hawk’s Pro Skating 2. 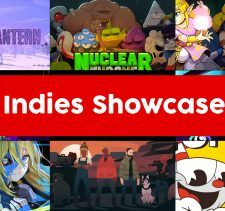 For the US launch, at least, there were seventeen titles available for launch. The console itself was something quite different from what Nintendo had worked with in the past. 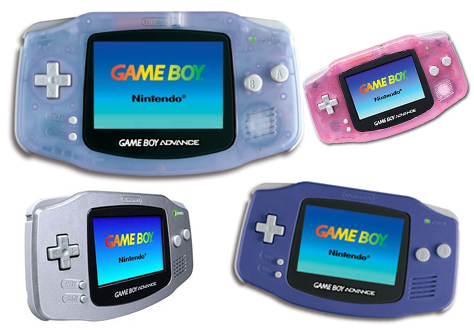 All previous Game Boy models had been vertical with the screen above the buttons, whereas the Game Boy Advance had a more horizontal design with the buttons on either side of the screen. Something that must be said about the original Game Boy Advance was just how good it was to hold – even to this day I cannot think of a handheld that feels better than the Game Boy Advance. Of course, it wasn’t just the look of the system that had changed; everything about the system was very new. It sported amazing graphics that could easily surpass anything the Super Nintendo was capable of and it was everything you wanted in a new handheld. 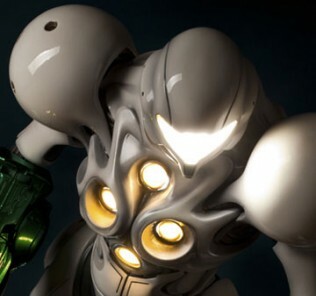 Nintendo had made a sizeable jump from the least powerful handheld on the market, to the most powerful. Quite possibly the largest problem with the original Game Boy Advance was the screen itself. I’m sure all who had the original system would know of the efforts one would go to just to be able to see that damn screen in the right conditions. We would often try things like those awful worm lights, or angle the system so it was under a lamp but at the same time avoid screen glare to still be able to see what was going on. Games like Castlevania were more or less unplayable with such issues. 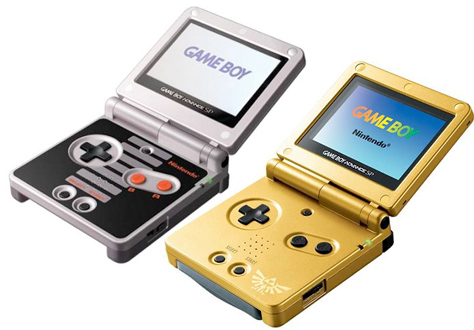 It was odd that in 2001, Nintendo still hadn’t gone backlit (bar the Game Boy Light in Japan) with their handhelds, however that would become less and less of a problem within the next few years. With most systems, you’d expect the first year or two to be somewhat slow for big releases; however the nature of the Game Boy Advance meant games could be developed quickly and easy. In the first year alone, players could experience stand out titles like Advance Wars, Golden Sun, Klonoa: Empire of Dreams, Mario Kart Super Circuit, Wario Land 4, Super Street Fighter 2 Turbo and Sonic Advance. 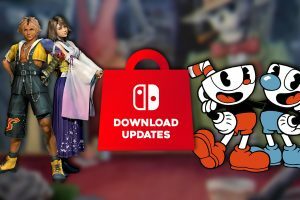 This itself was a huge milestone for Nintendo, particularly getting a well-known SEGA mascot on a Nintendo console following the years of Nintendo and SEGA battling it out. The Pokemon series, which gave the Game Boy a whole new lease of life in the late 90s of course came to the party pretty quickly with Ruby and Sapphire versions, and easily went on to be the highest selling game on the system. Square made their return back to Nintendo consoles after many years apart with amazing titles like Final Fantasy Tactics Advance and the multiple Final Fantasy remakes. 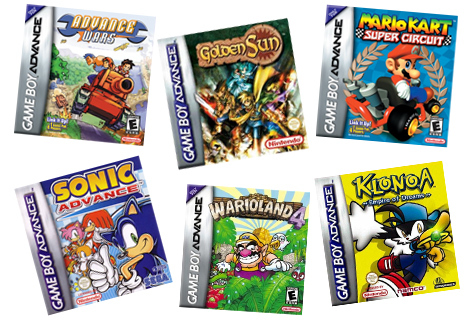 Of course, it wasn’t just the returning franchises that made the Game Boy Advance the amazing system it is, so many great franchises made their debut through the Game Boy Advance. 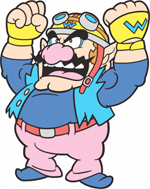 Arguably the most important new franchise on the Game Boy Advance were the WarioWare games, which took Nintendo’s anti-hero, Wario, and gave him an original series all on his own. You could almost look at the first one as being the beginning of the now infamous mini game compilation movement, taking a lot of little game ideas that wouldn’t stand well on their own and throwing them together. There was also the Golden Sun series which really appealed to a certain group of Nintendo RPG fans who longed for the Super Nintendo RPGs on the Nintendo 64 but were sorely disappointed. Fire Emblem and Advance Wars were two series that Japan were intimately familiar with, but that we also got our first tries out with. Thanks to the Game Boy Advance, these two franchises really got more attention in the west and became established franchises with sequels and such to follow. The Game Boy Advance was also the starting place for the Rhythm Tengoku and Ace Attorney games, series which we wouldn’t see until the release of the DS later, but that the lucky Japanese got their hands on quite early. As we’ve touched on before, the Game Boy Advance wasn’t a perfect system with complaints regarding how dark the screen was. Nintendo, thankfully, took all of this on board and in early 2004 released their first update for the system. 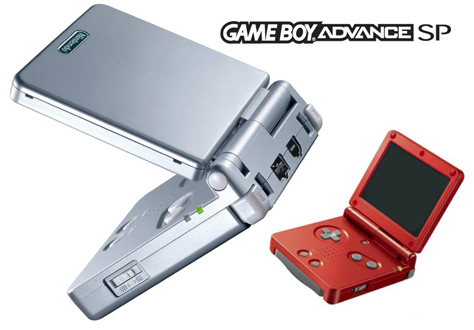 Dubbed the Game Boy Advance SP, Nintendo completely redesigned the look of the system as well as adding an illuminated screen without the need of a separate light source. We should mention that the system wasn’t actually backlit, but instead frontlit – so the light source was in front of the game. 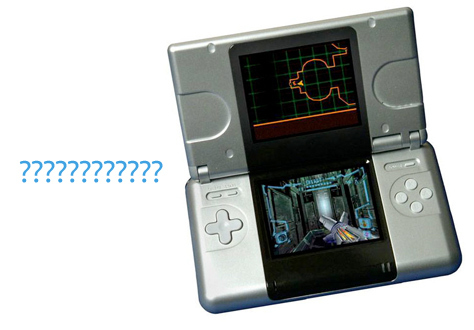 This improvement alone made the Game Boy Advance SP a hardware upgrade that was hard to resist. Nintendo had switched back to the vertical design of the original Game Boy this time around, however with a slight twist. Players could now fold the system in half very similar to the older dual screen Game & Watch handhelds. In doing this, the screen was protected from scratches and damage that the previous versions may have ultimately fallen prey to. Also added to the mix was a built in rechargeable battery, removing the need to incessantly carry around AA batteries wherever you go “just in case”. Overall the system boasted a much sleeker and compact physique, and it really did feel like the perfect handheld design. 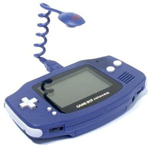 Nintendo really liked this design, since they used it for almost all of their handhelds following the Game Boy Advance. The Game Boy Advance was Nintendo’s shining star, a steady rock they could rely on while they seemed to be falling back in the console race. It had no competition from its launch until 2004, barring some ill-fated attempt by Nokia with its N-Gage. However, a storm was brewing and on the horizon, and Sony, who had been dominating the home console scene for years, turned their attention to the handheld market and announced the PlayStation Portable. You would have to wonder what Nintendo’s mindset was at this time – beating all the competitors previously was definitely a great ego boost, but this was different, Sony was a much stronger company. So in 2004, Nintendo took a roll of the dice and announced a new handheld system, the Nintendo DS. They were quick to announce (or should we say, cover their asses) and say that the DS was going to be the “third pillar” standing tall next to the Game Boy Advance and Gamecube. It even had a built in Game Boy Advance slot which you would imagine was put their just in case the DS gamble did not pay off. However, as history as proven, it did pay off, and the DS was a runaway success that quickly cast a mighty shadow over the Game Boy Advance. The DS paved the way for a new Nintendo, a brave and bold Nintendo who weren’t afraid to try new things. For a time, there was still a steady stream of Game Boy Advance games, but the writing was on the wall. After only three and a half years in the sun, the Game Boy Advance’s time was coming to an end. 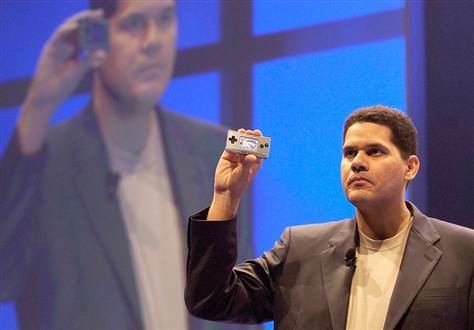 Despite this, however, Nintendo was not ready to give up on the Game Boy Advance just yet. Shortly after the worldwide release of the Nintendo DS, Nintendo announced a third version of the Game Boy Advance would be released – the Game Boy Micro. The idea behind the Micro was to have the ultimate portable handheld, a system that was small enough to be tucked away in a pocket and brought out whenever you wanted to. The name itself, Micro, suggested it was tiny at 10cm long and 5cm tall, easily the smallest handheld Nintendo had made. It was also backlit, unlike the SP, which gave you much greater clarity and brighter and more vivid colours on screen. 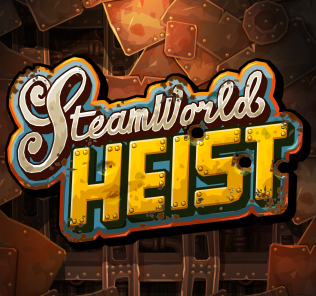 The most interesting feature, however, was that players could remove the faceplate and attach another in an attempt to make the device more “fashionable” for different users. However, that small size did come at a price. Despite having a smaller screen, the ability to play older Game Boy and Game Boy Colour games was removed, although the headphone port was restored, which was absent in the SP. Unfortunately, the Micro was not a success, even after its launch, the original Game Boy Advance SP was outselling it (which itself had stealthily been updated with a backlight). Worldwide, the Micro sold around 2.42 million units, well short of the near 80 million the Game Boy Advance and SP sold. It seemed that after sixteen years, the Game Boy brand was ready to set off into the sunset. After the failure of the Micro and the subsequent success of the Nintendo DS, things really began to wind down for the Game Boy Advance. There were a few big release titles, namely the Final Fantasy Remakes, Pokemon Mystery Dungeon games and the very anticipated Mother 3 for Japanese fans. The final Game Boy Advance game released was Samurai Deeper Kyo in the United States in February 2008, which was an anime licensed game that had originally been released in Japan six years earlier. From that point, the Game Boy brand was no more, just another relic of a gaming age gone by. The Nintendo DS went on to overshadow its predecessor and is close to becoming the highest selling game console of all time. The upcoming 3DS has been confirmed to have a handheld virtual console and while only the Game Boy, Game Boy Colour, Game Gear and TurboGrafx16 have been announced for it thus far, it’s not hard to believe that the Game Boy Advance would be coming to the store at some point sooner or later. While the Game Boy Advance times have been pretty short, it’s hard to deny the lasting effect that had. In an era of PS2, Xbox and Gamecube; it proved that 2D gaming still had a place in most peoples’ hearts. It was home to some of the best RPGs, turn based strategies, platformers and puzzlers that particular generation had seen. Before we got the whole 2D revolution that’s happening now with the indie game scene or the Wii/DS, the Game Boy Advance was carrying the torch for 2D games and doing a damn fine job at it. Game Boy Advance, while your time with us was not long, your impact will not be forgotten.